This week four students from Utrecht arrived in Hobart to start their first semester at the University of Tasmania. 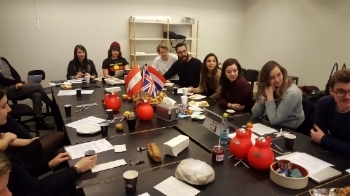 Students in the Europe in the World Program, including six Australian WorldRep students, have arrived in Aarhus, Denmark for their second semester of study. Pictured here at the Welcome Morning Tea. 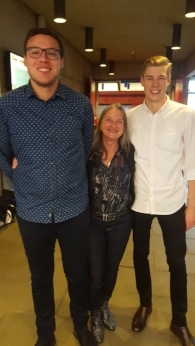 Congratulations to the two Danish WorldRep Students, Simon (left) and Kasper (right) who have successfully completed their study at Griffith University in Brisbane. Pictured with Inger Munk at their graduation from the Danish School of Media and Journalism. In November two teaching staff from the Danish School of Media and Journalism (DMJX), Asbjorn Jorgensen and Jesper, visisted the University of Applied Sciences (HU) in Utrecht. There they spoke with Europe in the World students, introducing and preparing students for their next semester at DMJX, and discussed the honours program with other staff at HU. In September-October 2016 staff from Griffith University and the University of Tasmania visited the Danish School of Media and Journalism (DMJX) in Aarhus, and the University of Applied Science (HU) in Utrecht. 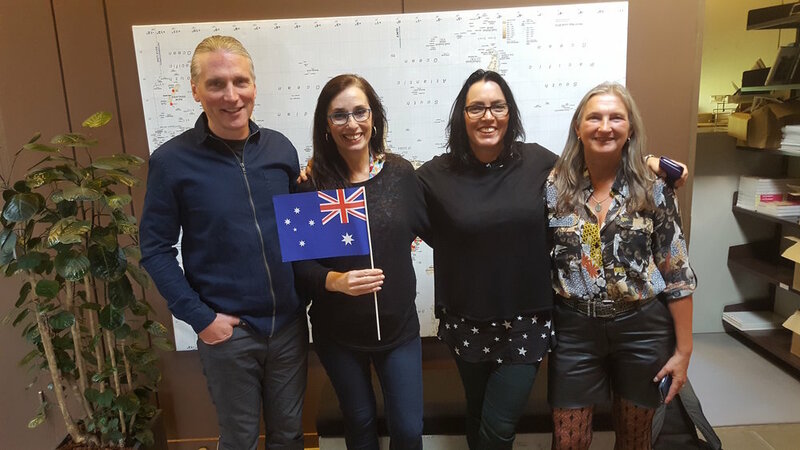 Here they met with teaching staff, students studying the Europe in the World program, and incoming Dutch students who will be studying in Australian in 2017/2018. We look forward to their arrival!